Municipalities and water authorities need insight into the effects of climate change and cost effective measures to mitigate these effects, preferably at the street or even house level. Using a WOLK model we can provide a fast and detailed insight into rainwater flooding. In a first pilot run for the model, specific vulnerable locations in the city of Groningen were identified, which led to immediate action by the stakeholders involved (in this case several municipal departments, the water authority, citizens and the Province). Other local governments have since then followed suit with great results. In 2016 we will expand our efforts internationally with Oslo, Tainan and Manila as ideal candidates with very different water issues. 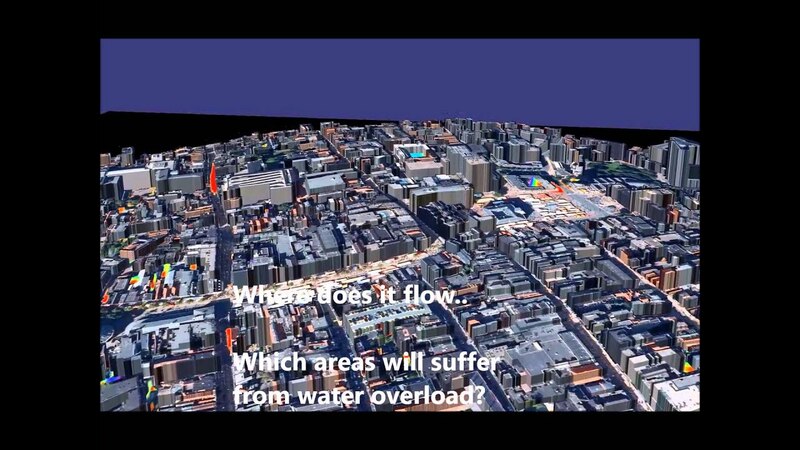 With stunning 3D visualisations, the problematic areas and water flow paths can be identified. The initial analysis is done by our Spatial and High Performance Computing experts based on the WOLK model created by engineering company Tauw. We’ve worked closely together with partners Floris Boogaard (Tauw/Hanze) and Jeroen Kluck (Tauw) on this project. Last modified: 12 October 2017 11.49 a.m.